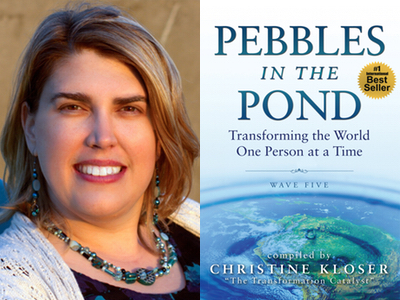 Congratulations to Lauren Perotti featured in the #1 International Bestseller, Pebbles in the Pond-Wave 5! 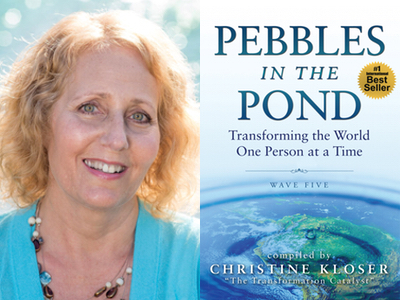 Pebbles in the Pond Transforming the World One Person at a Time – Wave Five! Lauren Perotti delivered her first keynote talk as a valedictorian of her 1968 graduating class, Catholic Kindergarten. This lady started very young. With sparkle and humor, Lauren has delivered messages of leadership, inspiration, and of what it takes to triumph in the ABCs of life on many stages and pages in years since. She is a coauthor of the book, God Allows U-Turns. Blending 30 years of unique expertise in business, psychology, and the arts, Lauren helps spiritual seekers, who want to make a big difference in the world, to reignite their passion, get a clear vision of their purpose and the next direction, shift limiting blocks, and create an action plan so they can start moving toward their goals. 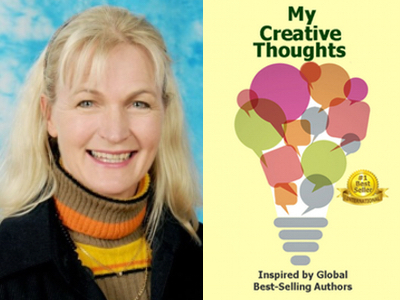 Ursula Nieuwoudt is featured in Expert Insights’ #1 Int’l Bestseller, My Creative Thoughts Journal! Ursula Nieuwoudt from Namibia, South Western Africa, has authored the book, Practical Conversations About Fitting In and is working on her next book about diamonds. Congratulations to Beth Ellen Nash featured in the #1 International Bestseller, Pebbles in the Pond-Wave 5! Beth Ellen Nash founded Wings to Soar Online Academy where dyslexics and other outside-the-box learners gain the skills and confidence to not just survive but thrive in school and in life. 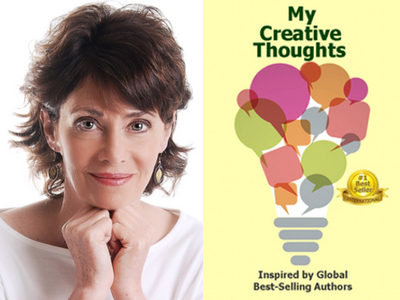 Anne Redelfs is featured in Expert Insights’ #1 Int’l Bestseller, My Creative Thoughts Journal! 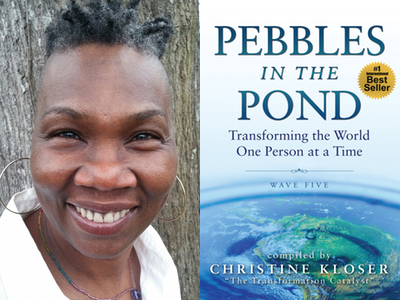 Congratulations to Veronica Lynch featured in the #1 International Bestseller, Pebbles in the Pond-Wave 5! Healing Artist, Veronica R. Lynch, Ph.D, has twenty years of experience as a licensed clinical social worker and psychotherapist to adolescents, children, and families, promoting better health and mental wellness. As creator of the 7 Balancing Acts to Wholeness: A Path to Revitalization, she helps people raise their life-force energy to put an end to suffering and replace it with a new and vital life. 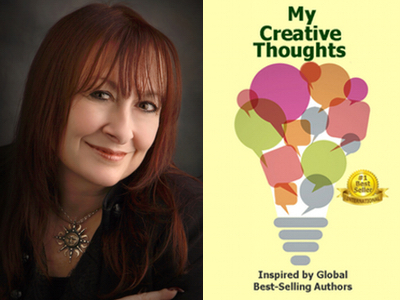 Diane Wing is featured in Expert Insights’ #1 Int’l Bestseller, My Creative Thoughts Journal! Diane Wing, M.A. is the founder of Wing Academy of Unfoldment, author of five books, and an experienced guide for those ready to experience a personal evolution. 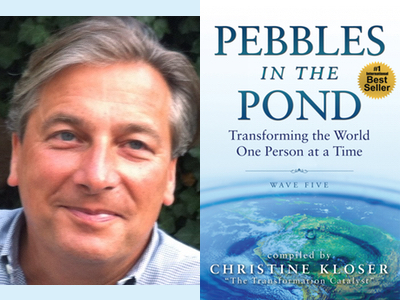 Congratulations to Steven Lovink featured in the #1 International Bestseller, Pebbles in the Pond-Wave 5! Steven Lovink is a visionary entrepreneur, peace-builder, whole-system thinker, and outside-of-the-box change-maker. Committed to building wholes greater than the sums of their parts, he continues his life’s journey sensing humanity’s emerging future and assembling its building blocks a piece at a time.